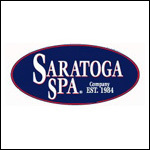 We are Saratoga Spa specialists and offer a giant selection of Saratoga Spa parts and accessories including jets, filters, heaters, pumps, pillow, spa controllers and hard to find heater unions. We are also a Saratog Spa authorized dealer and sell the entire line of Saratoga Spa models. Each Saratoga Spa is still handcrafted from the design of the molds to the finishing touches on the cabinet. Headquartered in Saratoga Springs, NY, The Saratoga Spa Company has over 45 years of manufacturing excellence and design and innovation. 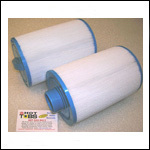 * ProTegrityT rigidizing system to increase the strength and quality of the entire spa shell. * WeatherallT exterior designed not to splinter or decay. 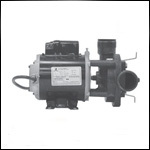 * Purity CirculationT pump's continuous operation creates less wear and tear on the pump's motor. 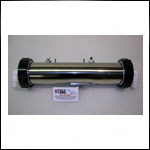 * Continuous Purity CirculationT provides continuous water circulation while maintaining cost-efficiency. * Continuous Whisper ZoneT ozone injection. * Heat on Demand/Operations center thermostatically controls the warming of the spa in the most efficient way possible. * No programming Control Panel design provides the ultimate in user friendly controls.